Keep up-to-date on the latest vision-related news and eye care events in our Practice. LASIK VS. PRK: WHAT’S THE DIFFERENCE? HOW DO I KNOW IF IT’S CATARACTS? HOW CAN SMOKING DAMAGE YOUR EYES? WHAT CAUSES DRY EYE SYNDROME? WHO COULD BENEFIT FROM PARAGON CRT? AT WHAT AGE CAN YOUR CHILDREN START WEARING CONTACTS? CAN AN EYE EXAM HELP DIAGNOSE ALZHEIMER’S? WHAT DOES IT MEAN TO HAVE GOOD VISION? 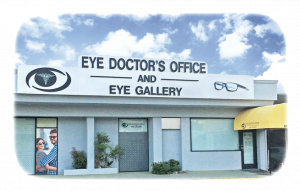 WHO ELSE WANTS EFFECTIVE, RELIABLE AND AFFORDABLE DALLAS EYE CARE?